Rinus Van de Velde (Belgium, 1983) is mostly known for his large-scale charcoal drawings and is considered to be an influential artist within that medium. 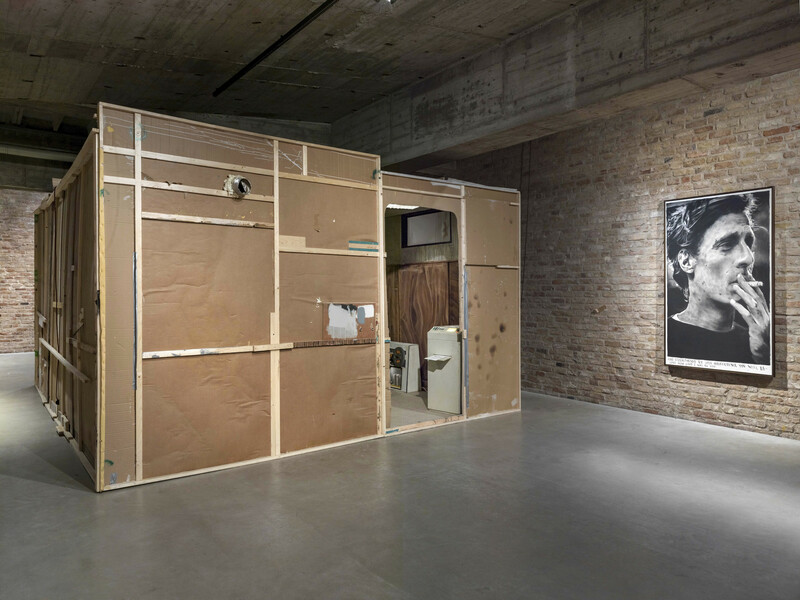 Drawing, with its connotations of speed, directness and world-making, is still the motor of his practice, but it has led him to make long and laborious detours through other media, such as installation, sculpture and video. His work gradually developed out of a need to create and control the photographic documents that have always served as a source material for his drawings. At first, these were existing documents, taken from magazines or archives. 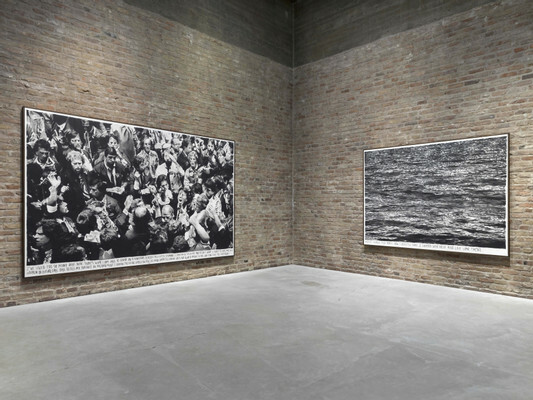 For years now, the artist has been producing his own sources, referring to and abstracting from the visual commonplaces and fetishes of contemporary art, cinema, commercial and documentary photography. 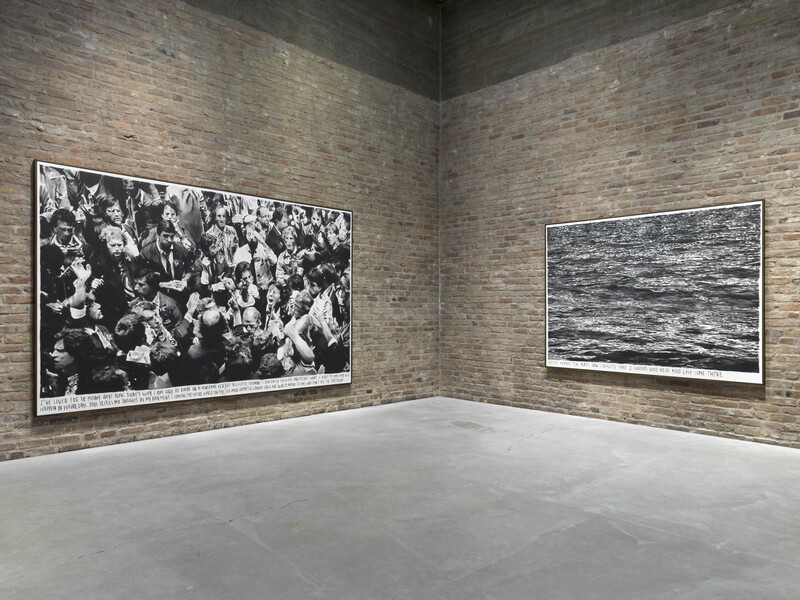 For Van de Velde, the act of drawing is a never-ending production process, in which the imaginary at large is transformed into subjective images with a consistent visual language and narrative. At the center of this narrative, is the alter ego of the artist, who is very often working in enclosed, studio-like environments. As an important part of his practice, Van de Velde builds life-sized decors in his studio, constructed from cardboard and wood. These decors present the artist with numerous possibilities of new narratives and imagery. His fictional and caricatural universe allows Van de Velde to cast himself in various roles and allows him to inhabit different personas, genres and art forms. Initially, the decors were built as a preliminary study for the drawings. They formed the setting for his narratives, which he himself and people from his immediate surroundings play out in his studio. By photographing the characters in the decors, Van de Velde creates an abstracted reality, a parallel universe where his imaginary storylines take place. 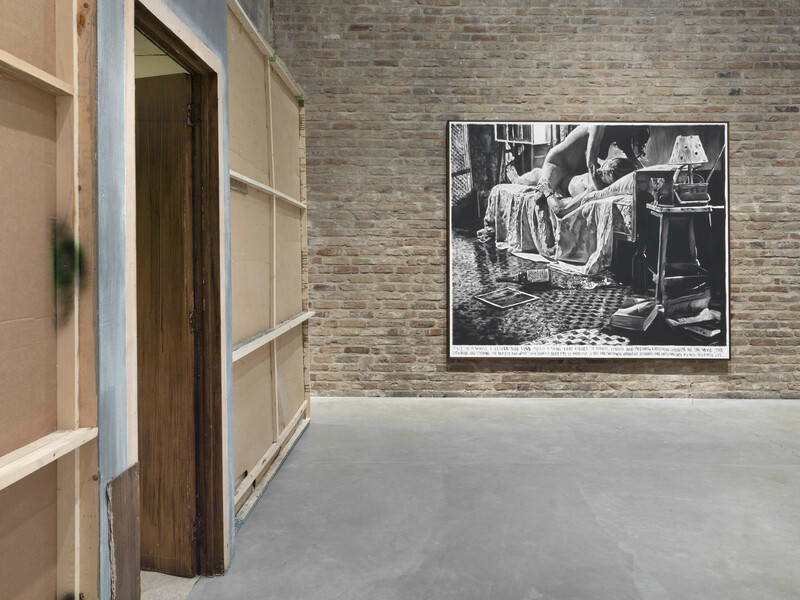 Using these studio photographs as source material for his signature black and white charcoal drawings, the images get transformed once again, resulting in a reduced reality in greyscales. At KÖNIG GALERIE, Van de Velde presents one of these decors as an installation in its own right: a set for a film he has been working on for two years and which will first be screened by the end of 2019. 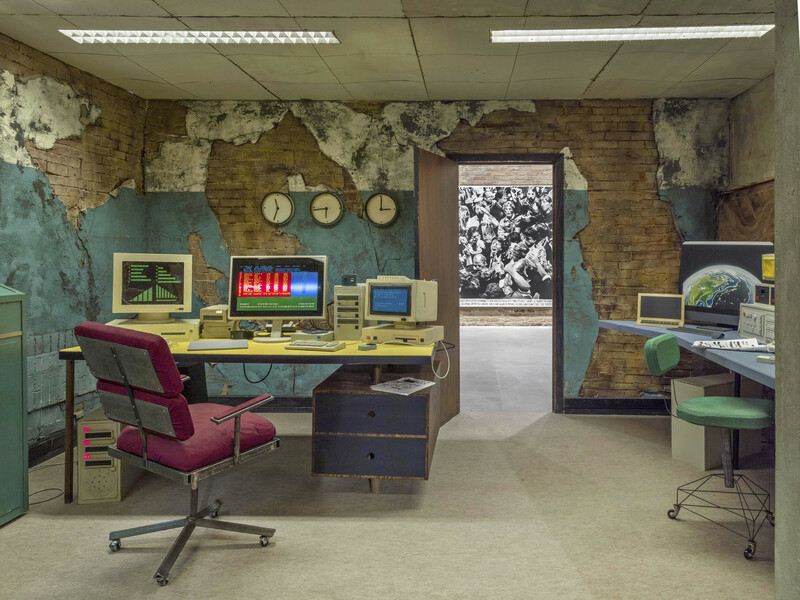 The décor is a central location in the film: a seemingly obsolete control room with electronic instruments, screens, buttons and handles, in which the artist-character oversees the actions of the other characters. Reminiscent of a trader’s room, or a villain’s head quarter in a James Bond movie, it is a place where information takes on the form of abstract patterns. 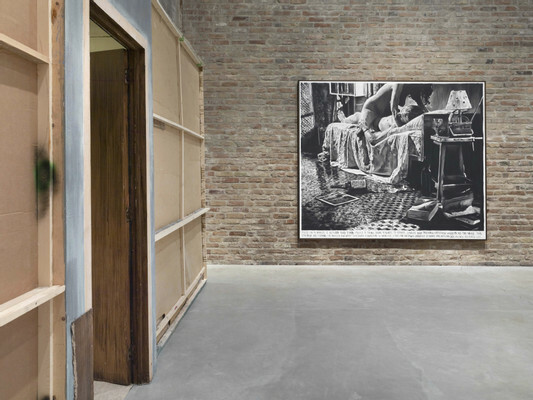 Together with the installation, the artist shows four large drawings, depicting scenes that apparently have no link whatsoever with the décor. Nevertheless, they could be random images that have showed up on the monitors. The scenes, as always in Van de Velde’s work, are ‘subtitled’ with short narrative texts. These bleep-like fragments of a missing fiction are linked through the recurring use of an I-figur, presumably the artist, or his avatar, who is depicted smoking a trade-mark cigarette on a self-portrait. 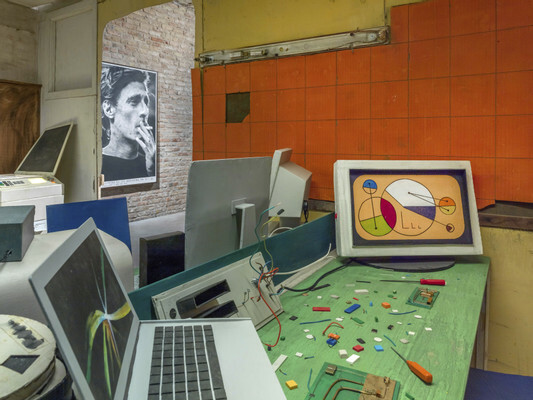 ‘In my basement’, one drawing says, ‘I control the outside world on my self-made computers. Causing stress and anxiety among the ones who don’t see the patterns.’ But ‘gaining here is losing there’, reads another drawing, which is a telling reprise of an older one: whatever structure the paranoid mind can come up with, is supplemented by what remains untouched. Get deeper into the drawing, and what remains is an abstract blur of charcoal versus the white of the canvas. It is this tension between showing and withholding, and between textual, graphic and sculptural regimes, that is the motor behind the paradoxical ‘total’ art of this installation. Rinus Van de Velde was born in Leuven, Belgium in 1983. Solo shows include Now I am the night of nights, Kunstpalais Erlangen (2018); Rinus Van de Velde, Gemeentemuseum (2016); Donogoo Tonka, SMAK, Ghent (2016); Kunsthalle Sao Paolo (2015); and CAC Malaga (2013). Furthermore, Rinus Van de Velde took part in group exhibitions curated by the Hayward Gallery, UK (2018-2019); Kunstmuseum Luzern (2018); Kunstmuseum Gelsenkirchen (2018); and CAFA Art Museum Beijing, China (2014). KÖNIG GALERIE’s first solo show in 2017 The Colony will in part travel to the KWM Art Center Beijing in March 2019.